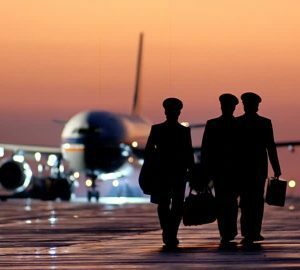 The following is a guest post from Jason Depew of AviationBull.com. 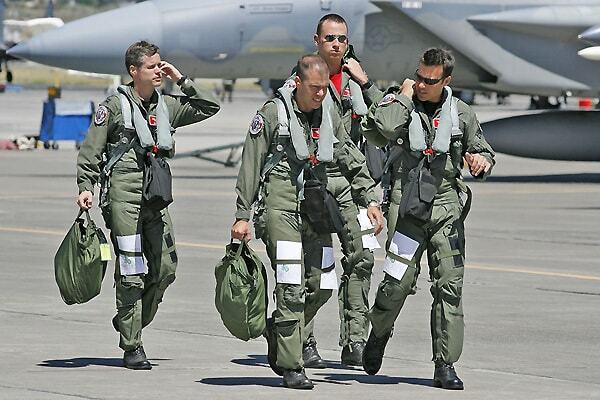 Jason left the Air Force for the airlines after saving a substantial amount of “f*** you” money. He now gets to employ the skills he learned as a military pilot in the commercial sector. His message is simple: every military servicemember has the opportunity to achieve financial independence. Jason now works as many days a year as military members can have off and makes more money than he would on active duty. Read on to see how he achieved early financial independence. The military is an interesting beast. Despite recent government shenanigans, it provides a steady job and accompanying stream of income. Few Americans get that kind of stability these days, yet my wife and I have always been surprised at how many of our troops and peers failed to take advantage of that fact. Most bases I’ve been to are packed with expensive lieutenant-mobiles, or worse, even fancier cars driven by junior enlisted personnel. One of my friends did a stint as a commander and mentioned that at least 50% of his time was spent on discipline related to financial problems. Writing bad checks, not making rent payments, running out of money every month: Ouch! If you’re reading this, congratulations! You’re light-years ahead of your peers on the road to Financial Independence (FI.) Not only will Spencer’s Manual keep you out of this kind of trouble, it will absolutely set you up for a life free from financial constraints. My wife and I started our Air Force service before Spencer, but we ended up at many of the same conclusions as he has. Follow his advice because it works! Used rewards credit cards, but paid them off every month, without exceptions! Maximized our TSP and IRA contributions every year. We almost always filled up the Roth side first. Carefully planned Roth vs Traditional TSP contributions in years when I deployed to hit the (then) $53K max contribution limit and minimize my taxable income. One year I made over $80K, but my IRS taxable income was less than $24K! Continued investing money in taxable accounts after we’d maxed-out our TSP/IRA options. Betterment is a great option for taxable accounts. You could also just open a Vanguard account and invest in one of their low-fee index funds. We ended up hiring the same financial planners that my wife’s parents have used for decades. It costs us a little extra, but I’m happy to pay to give my wife a little extra peace of mind. They’ve helped us invest in some Real Estate Investment Trusts (REITs) and a big company/peer-to-peer lending hybrid. It may be one of the organizations that ruined Lending Club for all the little guys. Sorry! These alternative investments aren’t better or worse than stock investing…they’re just different investments with different types of risk. I’m assigning Spencer some homework for you: he gets to look into REITs, decide if they could be beneficial investments for military members, and report back to us. When each of our children were born, we transferred our Post-9/11 GI Bill benefits to them as soon as possible. We also immediately opened and started funding 529 plans for them. I don’t think Spencer’s family has had to consider these actions yet, but they may someday. 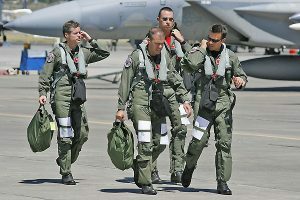 GI Bill transfer is a no-brainer for most military pilots with fewer than six years of service. It may trap non-pilots with an Active Duty Service Commitment you don’t want, so be careful. Spencer’s next homework assignment is to research 529 plans, and tell us about considerations for military members using them. We also made some…let’s say uninformed…choices along the way too. We bought more car than we needed. We aggressively paid it off, but I’d be more frugal next time. Twice, we bought houses at new assignments, then PCSed again and “couldn’t afford” to sell them because of market crashes, realtor fees, etc. Both properties have been rentals for us ever since, but between mortgage, taxes, insurance, repairs, and management fees we’re at or below breaking even. Yes, we’re building long-term equity, but if I had to do it all over again, I’d lean toward renting while on active duty. Despite our setbacks, applying Spencer’s principles did the trick. My wife and I left active duty after 12 and 11 years, respectively. At that time, we both had over $250K in our TSPs and about that much in other investments. If she and I could do it, so can you. Not yet. We could go full Mustachian, but we aspire to accomplish some bigger-picture make-the-world-better kinds of things in life that will require a little more money. Plus, we like our jobs. I left active duty to fly for an airline. My wife is now a civilian dentist working at a nearby practice. We’re still working, but not nearly as much as we were in the military. The thing is that since we know we’re financially secure in the long run, our stress levels are way down and we’re able to enjoy our jobs and our lives like never before. My wife only works 2 1/2 days a week. I worked a grand total of 145 days last year—an average of 12 days each month. If you consider that the average military member gets 104 weekend days, 30 days of annual paid leave, and a smattering of other holidays off, I spent about as much time at work as most military people get free from work. And that assumes you never deploy or get sent TDY/TAD: good luck! I made a little less money than my peers that stayed on active duty, but I was happy to take that cut to get more time with my family. (If I was still worried about money, I could have worked a few more days per month and made far more money than those peers.) By both working fewer days and having flexible jobs, my wife and I have almost completely avoided the need to pay for child care since leaving active duty. Those savings alone make up for my difference in pay last year! One month I was a little burned-out, so I put in a request to drop a few days of work. The request got approved quickly and I got an extra week at home with my family. Another month I dropped a 4-day trip. This cost me a few thousand dollars, but freed up a full week. We took a family trip to the Pacific Northwest and loved it. The Experimental Aircraft Association scheduled one of their SportAir Workshops in Lakeland, just down the road from my new house, this February. I was able to swap a 4-day trip for a 2-day and go learn oxy-acetylene welding. It was a fun class. I highly recommend doing one of their workshops, even if you don’t plan to plan to build an airplane. I got an offer to do a fun side-gig for a couple days. I lost some money dropping a trip to go do it, but it was a once-in-a-lifetime opportunity and I’m glad I took it. Bonus points if you can figure out what it was. It should be more obvious around October-ish. I got assigned a terrible trip over New Year’s. It was a 4-day trip with short layovers at airport hotels in NYC and long workdays. I traded it for a great 3-day trip: 1 leg to Appleton, WI, on the 30th. Appleton is a great layover location, even in the dead of winter. I stayed there for 30 hours and then flew three easy legs back home on the 1st. Each of these examples resulted in me losing money, but made my life much better in other ways. That’s the beauty of FI. When you’re financially secure you don’t have to take bad deals because you’re scraping to get by. You get to choose the work you do and how much of your life you want work to take up. I don’t see myself doing a full early retirement from the airlines anytime soon. I enjoy the job a lot and I love the flexibility. However, there’s isn’t a chance in hell that I’ll be a 60+ year old captain flying 16 x 4-leg days a month in the oldest jet in the company. I have better things to do in life! I can see myself flying a trip or two a month to keep life interesting and continue seeing the world. Plus, even working 25% of a normal schedule brings in a lot of beer money on an airline pilot’s salary. If you’re a pilot, or you’re just interested in hearing more about airline pilot Quality of Life, you can read my second year summary on my site. 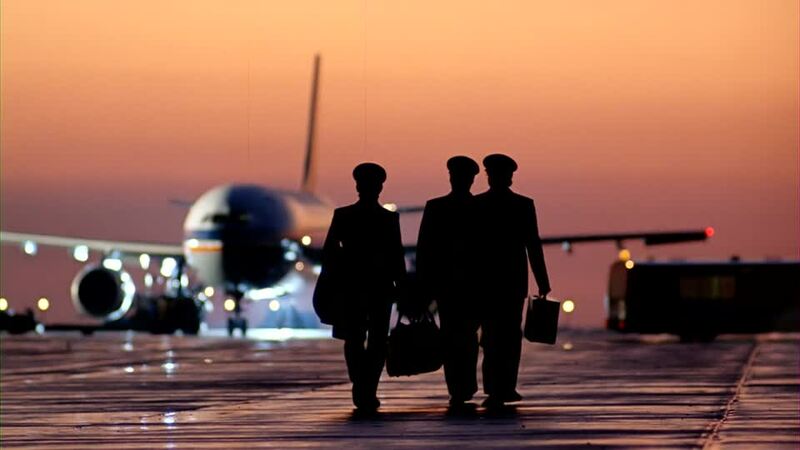 Check out this older post for a more direct comparison of military vs airline pilot pay. This post with 2018 updated numbers examines what happens when you stay in the military for “just one more” year. It can be tough to forego the luxuries that you see your friends enjoying on the road to FI. Keep the end in sight though! It feels amazing to only do the work you enjoy and having the choice to say “no” to work whenever you want. Be sure to thank Spencer for setting up the Military Money Manual to help you achieve that. If you're enlisted you have the potential to earn a lot more than you do now. You can reach FI, but it'll take you longer than an officer because you just don’t get paid as much. Spencer has mentioned how powerful increasing your income can be. Use your service’s Tuition Assistance programs, the GI Bill, and your free time to finish college! Take advantage of every opportunity to get civilian certifications for your specialties. A&P mechanic, electrician, welding, network admin, medical technician, etc. are all in high demand. Don’t be afraid to us your skills to get side-jobs. (Just get your commander’s permission first!) If you plan to stay in military until 20 then absolutely find a way to become an officer. Some of the best officers I've served with were prior enlisted—their unique perspective was a huge advantage. I’ll leave it to Spencer tell you about some of your options here. Increasing your skills pays off for officers too. I spent 11 years on active duty working hard to increase my pilot skills and experience, and now I'm reaping the reward in a higher-paying, less-stressful job. I’ve also made money from side-gigs in computer programming, writing, and civilian flight instruction. Take every opportunity to develop yourself. You’re not off the hook just because you finished your Bachelor’s before you entered the military! If you like reading blogs more than books, you can’t beat Mr Money Mustache. I’d also recommend taking a look at Spencer’s guest posts on The Military Guide, Financial Samurai, and MilitarySaves.org. Again, congrats on finding your way here. Follow the Military Money Manual and you’ll be well on your way to financial success and unparalleled Quality of Life! Thanks for reading, and thanks to Spencer for inviting me to do this guest post. Currently a 9 year TSgt. Just finished my BS in Aeronautics. Lookng for a mentor to help me transition to the officer side.